We love to help and support you with your Photography and we strive to get the best possible training to suit your needs, from standard classes to special workshops. If you enjoyed your course or workshop, why not leave a testimonial to tell the world what we did for you. "Great varied courses to suit all from beginners to advanced levels of both photography and post processing in a relaxed friendly atmosphere with like minded people. 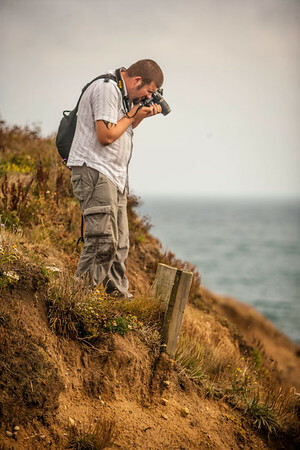 Working in both classroom situations as well as location settings enabling you to create great photography & post processing within a group and by yourself, along with a brilliant tutor who understands the trails, tribulations and pitfalls of these subjects but with gentle encouragement leads you to your goals and beyond". "The GoPhotography courses in Newark are just remarkable! Small groups of like -minded people are guided through inspiring classes by Gary who takes the mystique out and injects fun into learning. We help and encourage each other to progress with realistic targets at a cost that doesn't break the bank. Great!" "I have always found Gary's courses to be of the highest calibre covering a wide range of subjects. His help with preparing for the LRPS was also invaluable. I cannot recommend his courses highly enough". "Before I started his course, a fellow photographer said to me that with Gary I would do things that as an individual I would never do, and that has proved to be right. I have been taking his classes for some years now and they have always been very interesting. Gary's help was invaluable in gaining my LRPS". "Gary at go Photography is a brilliant teacher no matter what level you are at he gives so much encouragement,help and advice which gives you confidence in believing that one day you will be able to produce excellent photographs.His knowledge in all aspects from camera,editing and printing comes across in such a manner that even a novice like me can follow and understand ,he is an inspiration"
"I have been attending the GoPhotography classes with Gary for a long time now, which is a testimony in its own right. However, whilst attending Gary’s classes I have learned so much about post production via LightRoom and Photoshop and, indeed, a few others that Gary introduces us to. Not forgetting Gary’s skill as a first class photographer, I don’t think there is anything that he is not able to teach in his classes. His knowledge in post production and photography is phenomenal to say the least, he is also not afraid to share his vast knowledge with you in his classes, which are fun to attend and educational at the same time. A year or so ago I attained my LRPS with a few others in our class, without Gary all that would not have been possible, again his vast knowledge of printing skills knows no bounds. I am looking forward to now doing my ARPS with his help. To sum up - Gary’s classes are fun, educational and all at a very reasonable cost for a 12 week session. All of which are at the studio or in the field with other like minded people who are now my friends". "Since starting photography and post production classes with Gary I have gone from a complete point and shoot novice to being able to handle my camera with confidence and take pictures I'm really proud of. The small friendly classes make learning enjoyable and everyone helps each other. Gary is the most patient teacher I've ever met and makes sure we all understand each process before we move on to the next stage. I have learnt so much and can't wait to learn more". "I joined Gary’s classes at ‘Go Photography’ as a beginner not even knowing how to take my camera off of auto settings. Over the past few years I have learnt so much about the technical aspects as well as post processing using Lightroom and Photoshop. My confidence has grown so much and I have achieved my LRPS which would not have been possible without Gary’s encouragement. Gary makes learning about Photography fun, his courses and workshops are interesting , educational, varied and are pitched at just the right level - challenging but achievable. I would highly recommend ‘Go Photography’ tuition to any level of photographer who wants to improve their skills". "Gary is a very knowledgeable and enthusiastic teacher, eager to help his students improve but to have fun at the same time. We have just taken our LRPS and have found his guidance invaluable. I can thoroughly recommend his courses". "I'm a new member to Gary's classes and I'm very impressed with his enthusiasm and the attention to detail he gives on a shoot. My technique has improved behind the camera and with Gary's knowledge on post production I'm getting the best out my pictures. 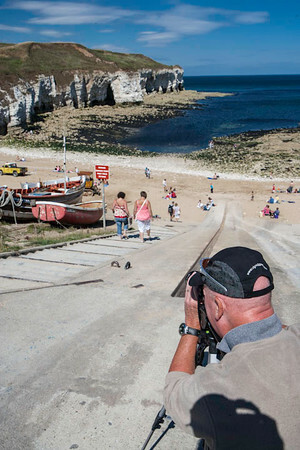 I would recommend any of Gary's courses to anyone that has an interest in photography." "Whether a beginner or keen advanced photographer, there is a course or workshop to suit all at Gary Orgles' GoPhotography. Learn the basics or increase your experience and competence with the invaluable guidance of one of the experts in his field. You will want to return time and time again as all participants thoroughly enjoy themselves in all aspects of photography and make new friends through the fun and friendly gatherings. Tailored courses to suit your requirements, well catered for. Don’t delay – sign up today!"